John Muir Laws's guide to drawing birds is itself winged, soaring between a devotion not only to art but also to the lives, forms, and postures of the birds themselves. Here, artistic technique and the exquisite details of natural history intertwine, and drawing becomes the vehicle for seeing. As Laws writes, "To draw feathers, you must understand how feathers grow, overlap, and insert into the body. To create the body, you must have an understanding of the bird's skeletal structure. To pose this skeleton, you must be able to perceive the energy, intention, and life of the bird." This how-to guide will perfect the technique of serious arists but also, perhaps more importantly, it will provide guidance for those who insist they can't draw. 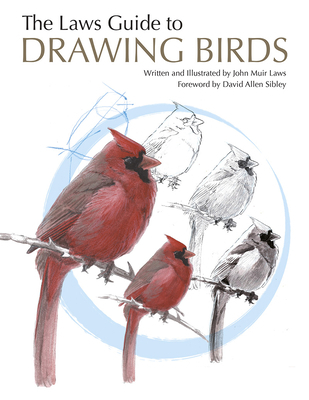 Leading the mind and hand through a series of detailed exercises, Laws delivers what he promises: that "drawing birds opens you to the beauty of the world." An Audubon Book.